UPS 55 SMART is the result of years of technological research. The most advanced design, manufacturing & testing standards make this Smart UPS an ideal guard for your equipment. 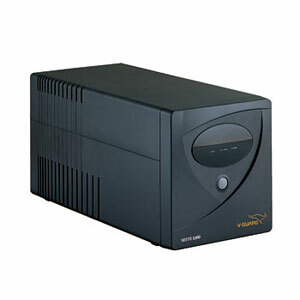 This UPS is incorporated with the latest Microcontroller based high frequency technology. Microcontroller based high frequency design. Solar compatible - Charges by solar panels up to 20W or mains too. Full functional UPS - Smooth changeover from mains to battery mode. 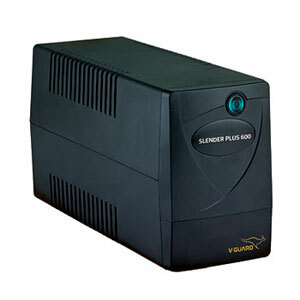 V-Guard Slender Plus 600 is a value-for-money device that comes with lots of useful features and is the perfect UPS that offers efficient back up to your desktop computer/router. 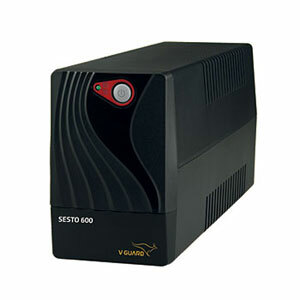 The SESTO 600 UPS will come in handy at all the times when you face power fluctuations in your area. Be sure. Be relaxed with SESTO 600. SESTO DX 600 is made to overcome frequent voltage spikes with maximum effectiveness. 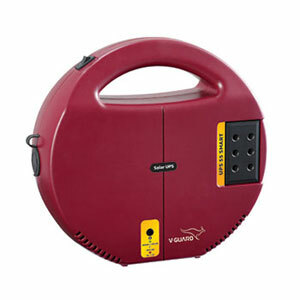 This compact unit of wonder is competent in providing high quality power supply to your devices. 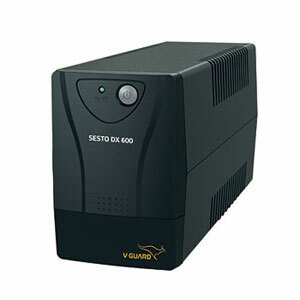 SESTO 1000 is built with a capacity to automatically regulate voltage fluctuations with precision. Appealing design and amazing utility summarize the wonder that the SESTO 1000 is.